Searching for a new baby Sulcata tortoise for sale cheap? Sulcata tortoises for sale cheap are probably the most popular species of cheap tortoise for sale in the USA. They are easily available, readily available and reasonably priced because of their large size. If you are considering purchasing a new captive-bred tortoise, make sure you have the room for one of these giants, OR consider a small tortoise species. 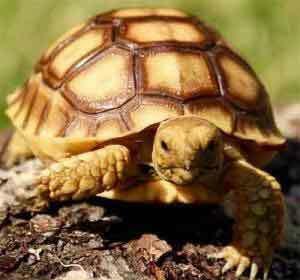 Also, Tortoise town has a great African Sulcata tortoise care section, including African Sulcata tortoise diet, sulcata tortoise lifespan, and more. All of our adult Sulcata tortoises for sale are 100% captive bred here at our tortoise farm. One shipping charge a single tortoise for sale as well as covers up to 4 juvenile, adult or baby tortoise for sale. Tortoise Town is proud to offer the best adult Sulcata tortoise for sale cheap, anywhere! We guarantee that you will absolutely love your new Sulcata for sale cheap so much, that you will want another soon after meeting him or her. If you are considering a pair of Suclata tortoises, keep in mind that females get along well, and if you are planning on keeping both male and female it is recommended to get 2 to 3 females for every single male. Spurred tortoise for sale, is another common term when people are looking for Sulcatas. 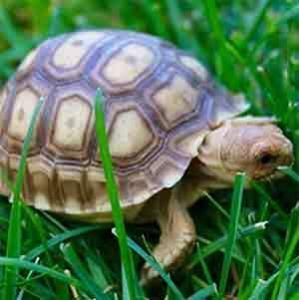 Sulcata tortoises are also known as African spurred tortoisee for sale cheap.